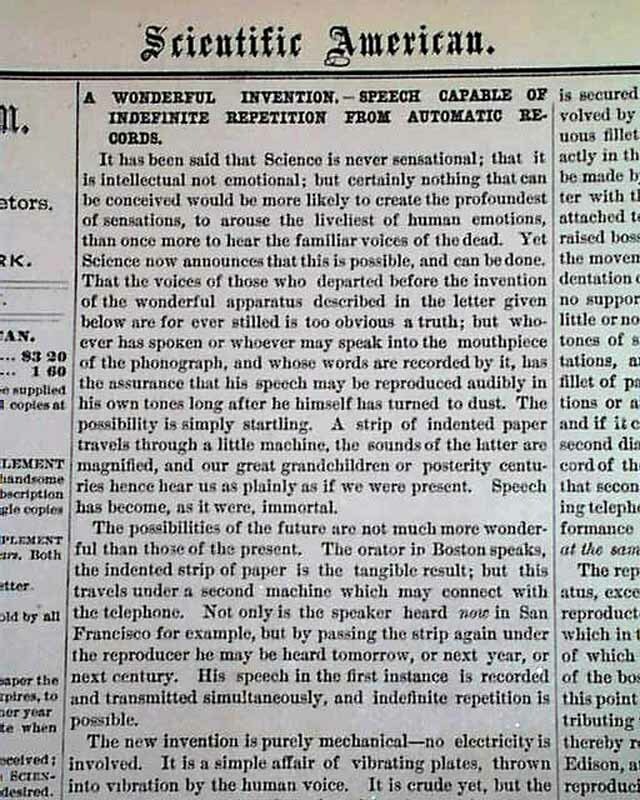 A page 2 article headed: "A Wonderful Invention--Speech Capable Of Indefinite Repetition From Automatic Records" reports this about Edison's latest invention: "...The possibility is simply startling...a strip of indented paper travels through a little machine, the sounds of the latter are magnified....Speech has become, as it were, immortal....the new invention is purely mechanical--no electricity is involved. 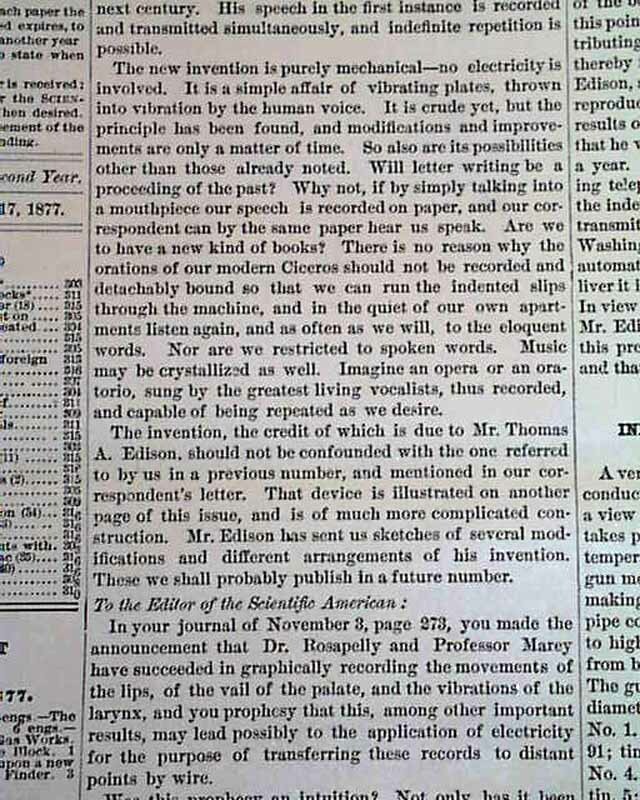 It is a simple affair of vibrating plates, thrown into vibration by the human voice....The invention...the credit of which is due to Mr. Thomas Edison..." and more (see photos). 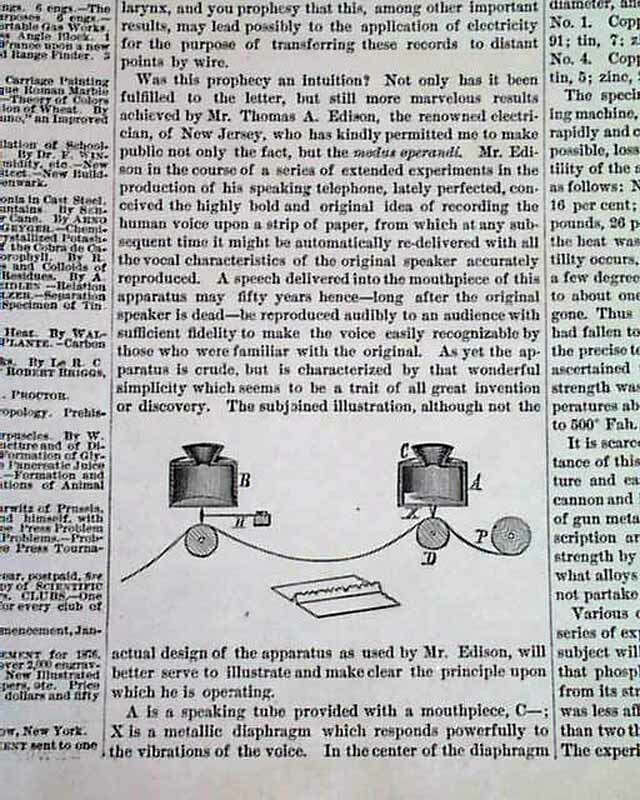 Includes a small illustration of the device. 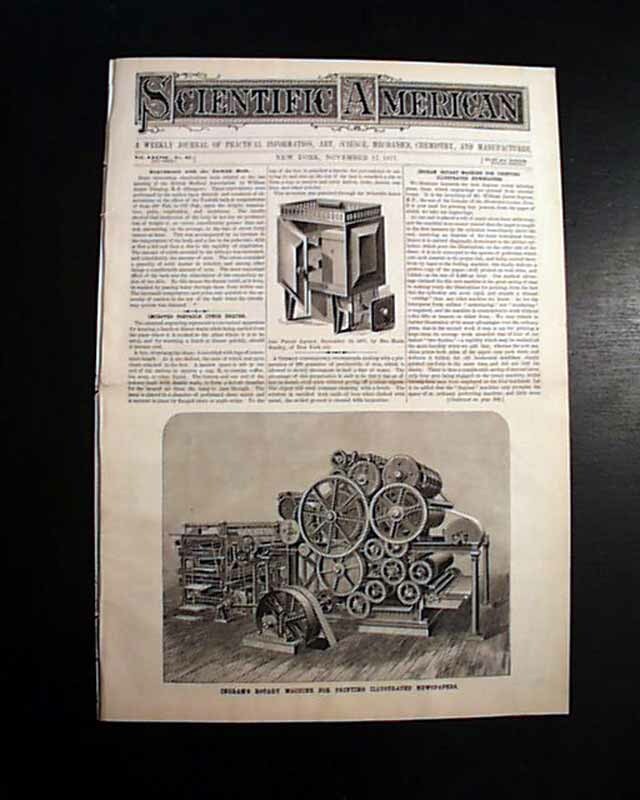 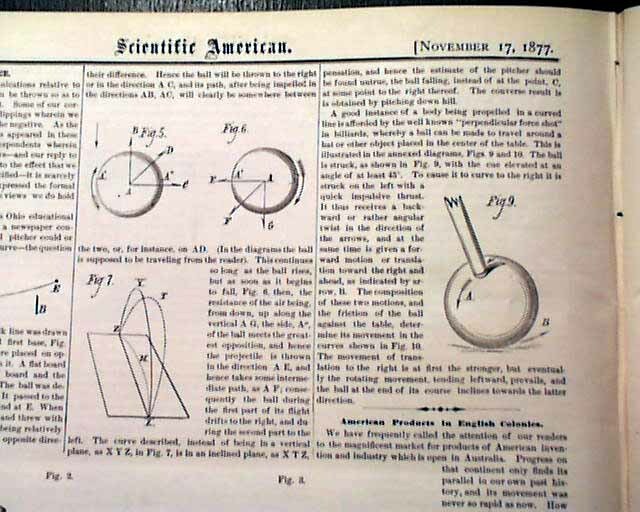 A most significant and early report of one of the more noteworthy inventions of the nineteenth century, and great to have this report in this famous science-themed periodical. 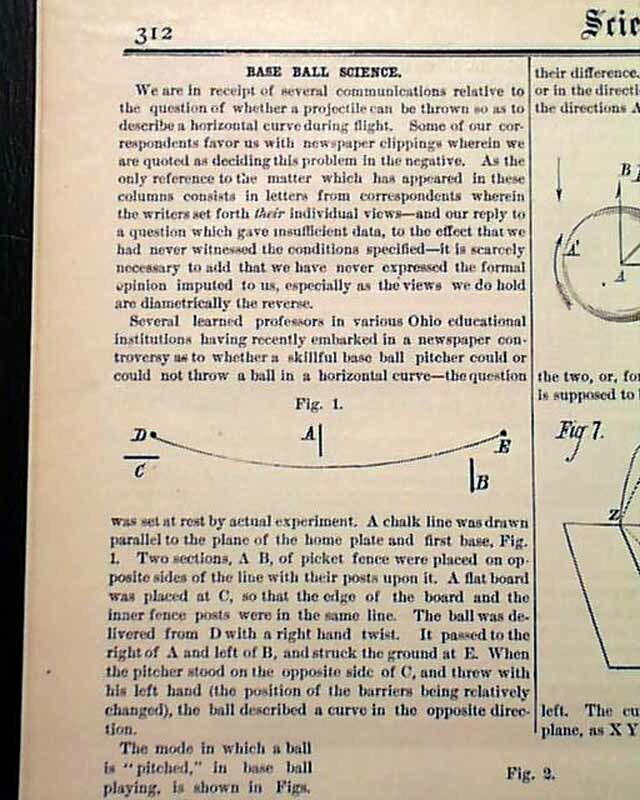 The article takes 1 1/2 columns. 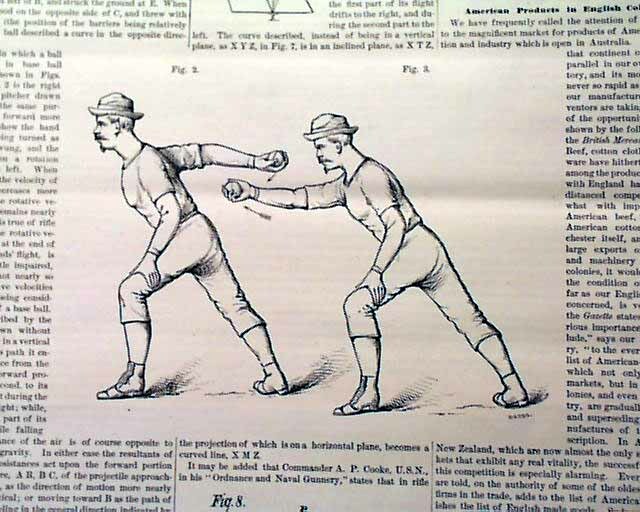 Also of interest is a very interesting article: "Base Ball Science" concerning the possibility of throwing a ball in such a way that it can curve, with several illustrations (see). 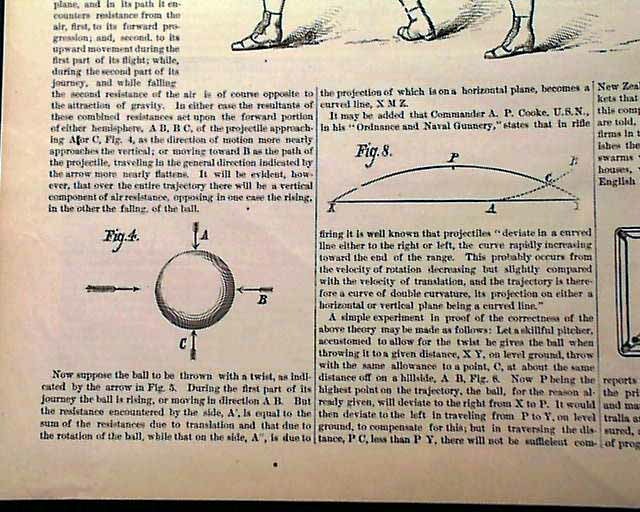 A fascinating & early report on the curve ball.